WordPress is a CMS framework, full of customization and provides bunch of API and hooks which any developer could use to modify themes and plugins. That’s the reason currently we do have an option to choose plugins from thousands of available plugins from WordPress official repository. In this post we are going to discuss new plugin CSSHero with all details. But before we get started, let’s focus on these questions. How to make live changes to your WordPress site? Is there any easy way to know number of CSS properties for WordPress theme? If you want to do live changes by yourself without any help from plugin then you need to know almost ~300 of CSS properties before hand. It’s kind of impossible to modify those to see real changes in live theme mode. WordPress customizer allow you to modify some of the properties but not all and that’s real problem we have. NOTE: Checkout complete Video at the bottom of this post. Why CSSHero? CSSHero is a premium WordPress plugin. 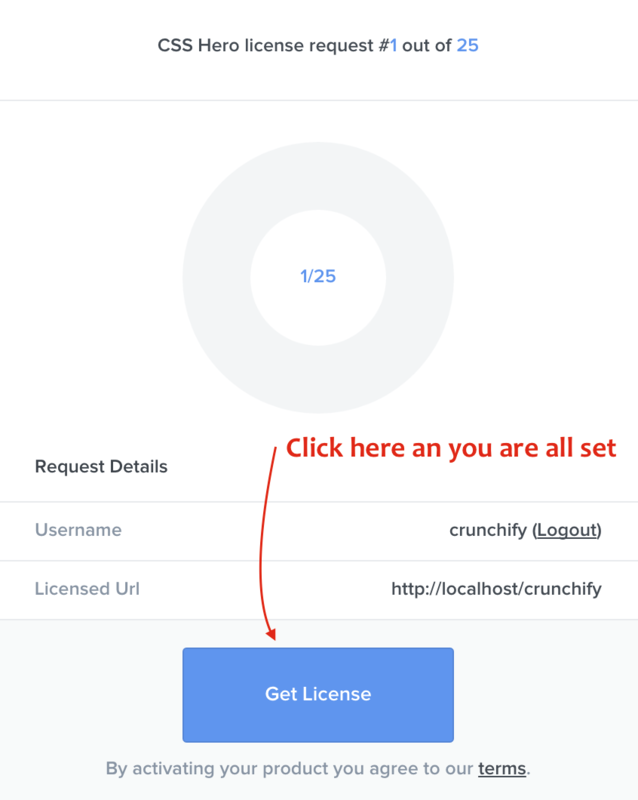 Basic license starts with $29/site. I would say – if you are a beginner or professional it’s worth trying. It comes with 30 days money back guarantee. Use code CRUNCHIFY to get 34% off on Starter, Personal Plans and 40% off on Pro plan. Now go to your blog home page and you will see CSSHero animated button in top right corner. sidebar, etc. Take a look at below GIF. As you see in below image, theme editor gives us an option to checkout number of different Mobile, iPhone, iPad Layouts of your theme with just mouse hover and single click. Point-4) How to undo your recent changes? 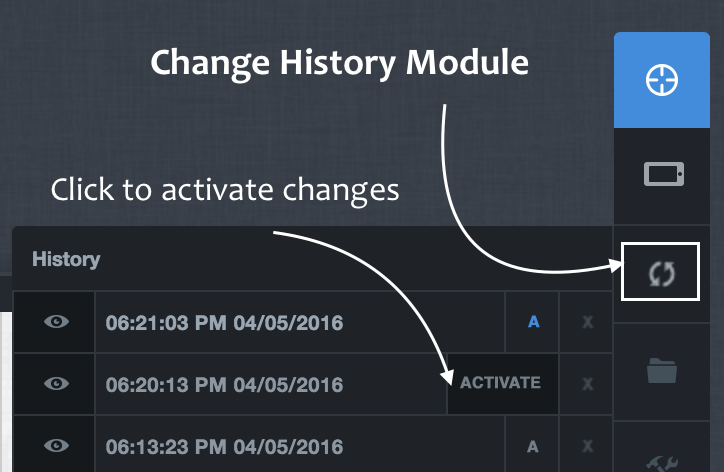 User do have an option to undo all recent changes using simple Change history module. I bet, none of the developer gets thing done right at first attempt, not at least me :). This is very handy for me. CSSHero also provides very handy module which shows all of your save changes. You could go back in timeline and revert to previous version. Isn’t that handy tool? I have used this tool so far number of different times and loving it. Preset Settings and Tools Options. Take a look at detailed video which we have captured which shows all functionality of CSSHero WordPress Custom CSS Editor plugin. Now as you have seen all of the functionality, it’s time to ask below questions :). Point-6) Does this plugin works with my theme? As per information from official CSSHero site, plugin works with below all WordPress Theme frameworks. If your theme isn't compatible with CSSHero then no worries. It will shows you an option to enable Rocket mode. Message: Native support for this theme is not present. Wanna try Rocket Mode Auto detection? Just enable it and try modifying CSS again and you should see the same options as you saw in above video. Point-7) How about Plugin Support and Documentation? Some of the popular WordPress plugins, like Gravity Forms, WooCommerce, Contact Form7, WP Pools, and more are compatible with CSSHero framework. That means, CSSHero not only works with theme customization but it also works with plugin layout customization. Last but not least, on official site, there are number of detailed tips and tricks articles available for you to read. Only Cons I could think of is to get familiar with all functionality. It may take some time for you to get started and become pro. Once you are familiar with CSSHero, I’m sure it will be very handy solution for all WordPress blogger. Get in touch with us if you do have a product, plugin, theme, etc which you think you want to promote. We are pleased to announce up-to 40% off on CSSHero WordPress Theme customization plugin.